If you are running one of the above networks using Parity Ethereum, we recommend to update as soon as possible. 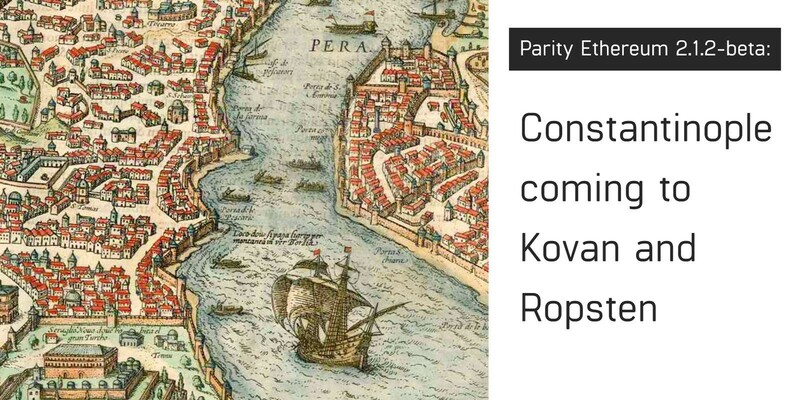 Once enough time has passed after the network upgrades on Kovan and Ropsten, Ethereum core devs will decide on a block number for Constantinople activation on the mainnet. There are many other small optimizations for this release of Parity Ethereum, including a hard fork for the POA Core mainnet at block #5,329,160 (October 22nd, 2018). For the complete list of changes, check out the entire changelog on Github. * Note: Kovan’s hard fork does not include EIP-1234.